My trip to Ayacucho was arduous for a variety of reasons from my own health to the altitude. The original draft of this post contained numerous details to bring the trip to life, but I realized it felt gratuitous. Additionally, while stories of sickness always have humor, this one had a solemn tone that did not do much to extend a main point: the trip drained me physically, mentally, emotionally, etc. As such, I’ve chosen to censor the original draft, but if you are interested I can send it to you. I got on the bus to Ayacucho with an unfortunate bit of stomach sickness. Hours later the altitude added a new dimension to my discomfort. Things went from bad to worse, and sleep was completely out of the question. Sore as I was, I spent a good portion of the ride immobilized with only contemplation of the world to distract me. And boy did I contemplate. I consider matters of life and death, structures of poverty, how gender roles differ across the world, and whether GMOs or organic farming can end world hunger. I thought about my fellow YAVs around the world and realized I am the YAV stationed highest in the world, for those who enjoy superlatives. I thought about the notion of prayer and what exactly it meant that so many said they were praying for me on my journey. I doubt they lied, so was my suffering evidence that the prayer wasn’t doing much? That was the easy response, but somehow traveling at well over 8,000 feet above sea level it didn’t seem to suffice. Perhaps I would have been worse if all the prayers were not there? That didn’t seem right either. It is disingenuine to measure God’s will or power against an absence. Intrinsically, I felt better knowing that others cared for me. So were their prayers equivalent to thoughts and care? Markers of the communities of which I am a part? There’s value in that and it matches well with how I’ve heard the study of religion and ritual described. Yet, I really wanted more. I want religion to be about more than being in community. As always is the case with religion, I feel I’m leaving the terrain of logical conversation and entering a new plane. It’s uncomfortable. I learned to think rationally about issues. Still I want to press on. I found a deeper answer about prayer when I realized something I had not contemplated during the ride. At no point did I reconsider my decision to be in Peru or work in Ayacucho as a YAV. Of course, that would have made little difference on the bus, but it is worth noting. I was by no means excited or driven. If someone had asked me to divulge why I was doing a YAV year, my answer would likely have been biting and sarcastic. I was tired, grumpy, uncomfortable, and spent, yet I wasn’t giving up. Even passively, I was invested in this year and being present, even if I might come up short given my current unwell state. And therein seemed to lie some of the power in the prayers. I don’t consider myself weak-willed, but I did feel particularly paralyzed in that moment. Yet, I felt empowered to keep moving and I do not believe that originated from within myself alone. As I sit in my bed in Ayacucho, just a day after that terrible bus ride, I’m still nervous and apprehensive. More so than I ever felt in Lima. I’m much more disconnected from the rest of the world here. My family decided to cut off their wifi a little while ago because they did not use it, which I can admire. I’m so disconnected that it took me 15 minutes to realize what all the “I WILL NEVER FORGET” statuses were about when I finally got to an internet café yesterday, September 11. I won’t apologize for forgetting, I do not think it is a dishonor to those who were lost on that day, but the disconnect does worry me. I have drawn much of my support from remaining connected home, in contact with my family, my friends and my fellow YAVs. Having lost that connection, I find that I am putting all the more value in prayer, as awkward as this may feel. If you don’t like the word prayer, call it “love and support.” The point is, the power of prayer I came upon in the bus is one that can reach me here in the mountains with more consistent signal strength than the internet. I just need to learn how to sense it. Well, the day I leave for Ayacucho has finally come. I’m much more apprehensive than I expected. You’d think after the third week of moving from one place to another I’d be ready to just settle down in a new home for the year. I’ve enjoyed the moving around and creating connections in both Stony Point and with my temporary host family in Lima. While those connections have made this time more enjoyable and communal, it has made each departure all the more difficult. I’m going to miss my fellow Peru YAVs, just as I miss the YAVs I connected with who are now around the world. I’m going to miss Jed and Jenny, as well. They’ve provided a safe, but challenging space to grow and experience Peru. And I’ll miss Cente, Mario, Christian, and Ara my host family here in Lima. I haven’t talked much about my host family in Lima, but let me tell you they made it really hard to say goodbye today. I think this story will make the most sense if I add a little context. You see, last night the YAVs got back from a brief retreat in Huacho, Peru. 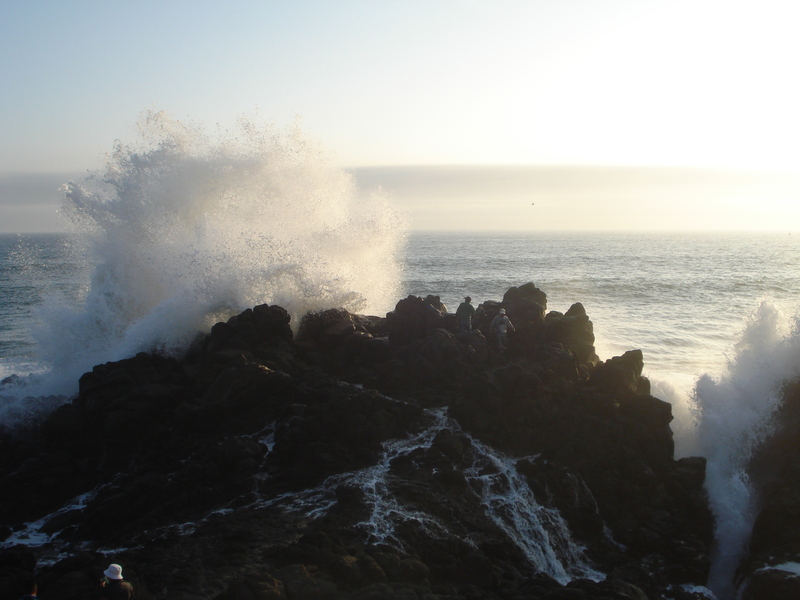 It was three hours north of Lima, right on the coast, much sunnier, and all-around beautiful. 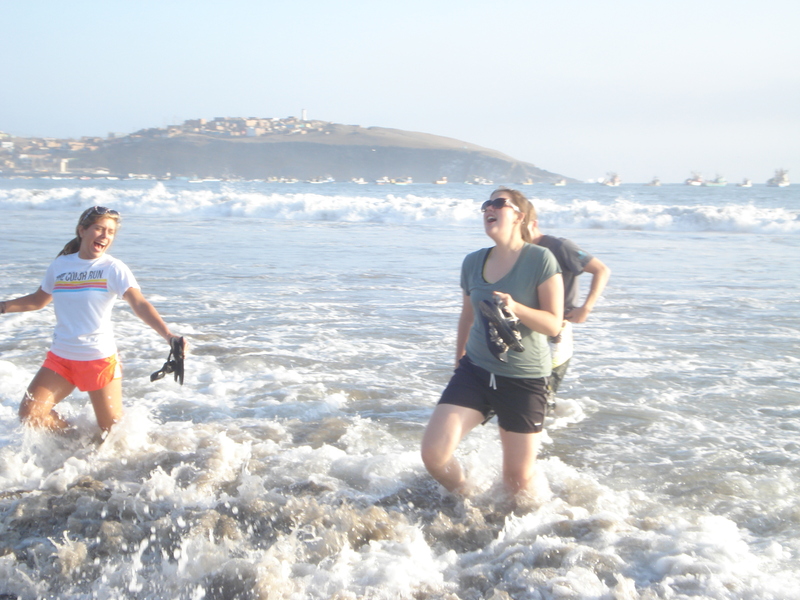 It was a great chance to get out of Lima and clear our heads a bit before we head out to our placements. There were of course beautiful moments on the retreat. On a programmatic level, our group wrote a covenant, celebrated communion together, and we each offered up some goals for the first phase of our YAV year. 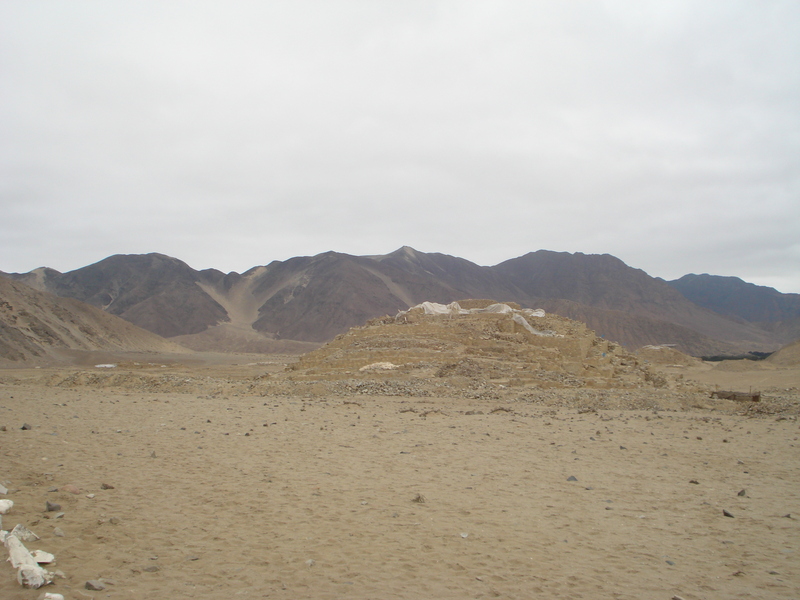 And we saw some amazing waves crashing along the beach and the ruins of Caral, an archaeological site that the Ministry of Culture in Peru has only just started excavating in the last 20 years. They’re the same age as the Egyptian pyramids and yet I swear I’d never heard of them. Unfortunately, I also entered into a period of Montezuma’s Revenge that is ongoing at this point. For those of you who aren’t familiar with that bit of culturally-insensitive vernacular, think squirts. Now that we’re hopefully all on the same page, you can understand why this retreat was not the recharge I had been expecting. So when I got back to my host family’s last night and found them absent, I slipped into my bedroom and feeling too tired to pack, took a nap. When my host brother Mario got in I said hello, but then took another brief nap. Again I woke to say hello to my host mother, but only for a brief moment. I found myself too tired to do much more than toss my clothes into my suitcase and read a snippet of Game of Thrones. I felt pretty disappointed that drained as I was, my last hours with my host family in Lima would be so lackluster. Luckily, my host family intervened with some absolutely touching hospitality. My host mother, Ara, had prepared a breakfast and for the first time since I’d been home, everyone ate together. This is a rarity in my family as Chente, Ara, and Mario (who is younger) leave the house as early as 7 am most days. I honestly still haven’t worked out their schedule, but I could sense that Ara had a hand in bringing my brothers out to eat. I was still pretty tired, but it lightened my spirits some. Over a banana smoothie, sausage omelet, and hot chocolate we discussed the weekend retreat and they pressed me for details about when I would leave. Would I be around to lunch with them as well? I wasn’t sure, but soon Jenny called and said she’d be coming to get me at ten. According to Chente, that wouldn’t do. He was persistent from that moment that Jenny walked in that we should all have lunch together after I brought my things to Jed and Jenny’s apartment. And so that’s exactly what happened. So we left and brought my things over and then Sara and I spent about three hours waiting for Jed and Jenny to finish a few tasks. Around 1:30 we headed back over and found that in the last three hours, they had all been hard at work. Chente had prepared a pesto, pasta, and anticucho (cow heart) dish, Ara had fried up potatoes filled with ham and cheese, and Mario had made a tomato and avocado salad. And this was entirely spur of the moment. Luckily, Jenny thought to bring a chocolate tres leches cake to share. I was glad that we had something to offer in exchange for this incredible outpouring. The incredible feast aside, I was touched by the joy in their company. We joked and laughed and worked through the various language and extroversion levels at the table to have an altogether joyful time discussing topics ranging from past YAV groups, to favorite foods, to our jobs, and more. And I can’t figure out how to articulate exactly why I’m so touched. This outpouring of kindness was at once a complete surprise as it happened, but it seems to make complete sense at the same time. I didn’t see it coming and yet it is totally in alignment with the kindness and care they expressed throughout the last two weeks. It’s something I’m noticing about my year. There are good relationships to be found in a YAV year whether with fellow YAVs, your YAV coordinators, your host families, or the random people you happen to meet in a taxi. So… I’m sad to leave my host family and the YAVs to head off on my own and also very hopeful to stay on this streak of being in immediate loving community with those around me. And if that sentiment seems vomit-worthy, I think the Montezuma’s Revenge is worth it. Yesterday, we visited with Ima Sumacc, which means “How Beautiful!” in English. This is a group of women weavers who live and work in one of the poorest districts of Lima. This group works with the fair trade organization, Bridge of Hope, to get contracts and sell their weavings around the world. I go back and forth on fair trade. I understand the sentiment. Workers are not able to live well if they work for factory wages. So encourage them to act as entrepreneurs and allow them to earn a fairer wage in exchange for more expensive, but often handmade and higher quality products. It’s created a niche market that keeps artisan wares out of competition with lower quality and cheaper products, which seem equivalent to the ignorant consumer. Fair trade deals in equity, a concept economics tends to discuss poorly. As Professor Sarah West, my adviser at Macalester College said, economics offers no guidance on equity, only what is efficient. Equity or “fairness” requires a system of values on what is right. Pareto Optimal models of efficiency so that there’s an infinite number of allocations of resources from the least to most equitable. Fair trade is an attempt to pick up where economics falls short on values. Still, I sometimes take issue with the fact that some group defines fair. Who is to say if this amount or that amount is fair? It risks the possibility of creating dependency. A fair wages varies across the global economy. Likewise, I don’t think the fair trade market is large enough to employ everyone and make a sizable change in the wages of most members of a country. Likewise, fair trade markets are too small to notably impact the sales of lower quality standard free trade items. So, fair trade makes a difference for a few people, but it doesn’t seem like it is going to revolutionize the system. Of course, that is no reason not to do it. Our conversation with the woman from Ima Sumacc proved that to me yesterday. These women were driven to Lima by the twenty years of violence. They were displaced. They did not have stable families. They all worked hard and studied harder in hopes of pulling themselves out of poverty. This included a few classes in weaving by their founder, Idelsa. After taking classes, she decided that this might be a good way to start making money to support herself. So she sought out women who might want to join in working with her. She found Isabel, Giovana, and Esperanza, none of whom had much weaving or sewing experience. Yet, they invested the time and worked to perfect their craft before moving to sell it on the market. It was through their connection with Bridge of Hope that they were able to take the next step to sell their woven scarves, blankets, and dolls to make a positive return on their investment in learning to weave. And for that reason, I think fair trade is still very necessary. It offers incentives and mechanisms to make investments in skills pay off in ways that they would not in existing markets. What name should I use? / ¿Cuál nombre debo usar? I’m going to be straight-forward here. The average Peruvian struggles to say a name like Kyle because its one of which they have often never heard. Plus, there’s no equivalent name in Spanish to use. Rachel has Raquel, Andrew has Andrés, and Sara of course has Sara. I enjoy the process of explaining my name for the valuable experience in cultural linguistics, but at the same time, there’s a value in streamlining the process. I just cannot decide on the name to use, so I’m putting it up to a vote! Read for explanations of each below. Voy a explicarlo directamente. 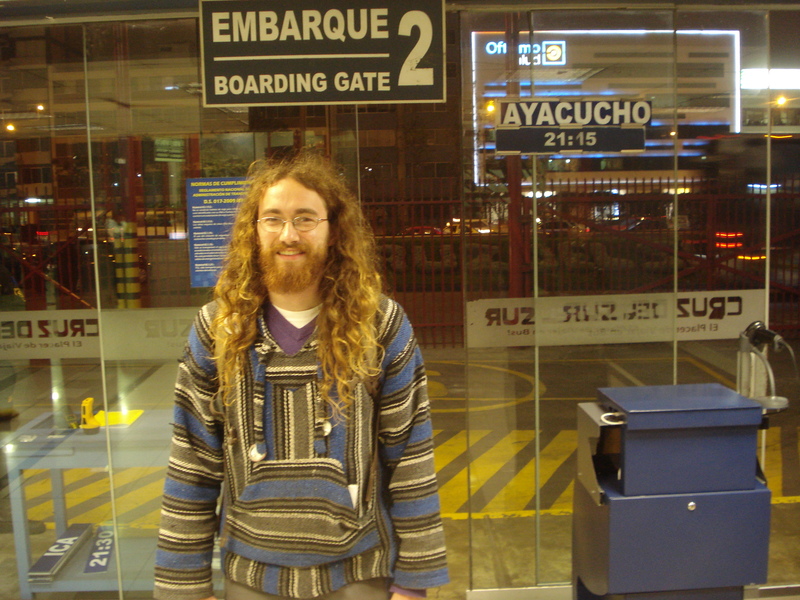 Al peruano promedio le cuesta decir un nombre como Kyle porque es uno de que con frecuencia no han oído. Más, no hay un nombre igual en el español que pueda usar. Rachel tiene Raquel, Andrew tiene Andrés, y Sara claro tiene Sara. Me divierto el proceso de explicar mi nombre por la experiencia valiosa de la lingüística cultural, sin embargo, hay valor del proceso de simplificar. No puedo decidir del nombre que voy a usar, así estoy preguntando que ustedes voten. Lea las explicaciones al fondo. The diminutives are in parentheses. If you choose Kyle, I will ask people to say my name as it is. Carlos is the closest thing to an equivalent for Kyle I have found. Gibson is my middle name and very easy to say. 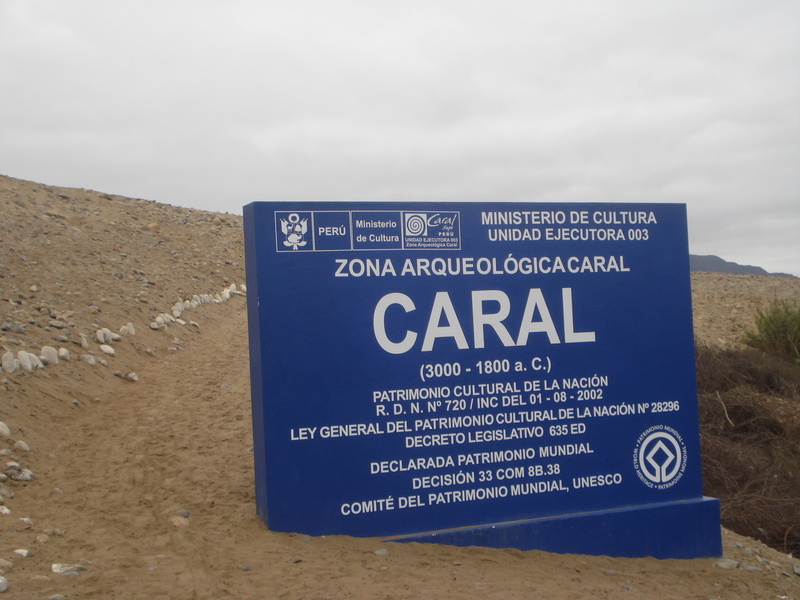 Carlin is the name of a Peruvian comedian. Kal, or really Kalito, is what my temporary host mother calls me. Also, feel free to suggest another. Los diminutivos están adentro de los paréntesises. Si se elige Kyle, preguntaré que la gente diga mi nombre mismo. Carlos está lo más cerca de Kyle que he enctrado. Gibson es mi segundo nombre y muy fácil decir. Carlin es el nombre de un cómico peruano. Kal, o sea KAlito, es lo que mi madre de la familia de mi poco tiempo en Lima me llama. También, se puede sugerir otro. We have a lot of gold. That’s one of our main problems in this country. We have so much gold. 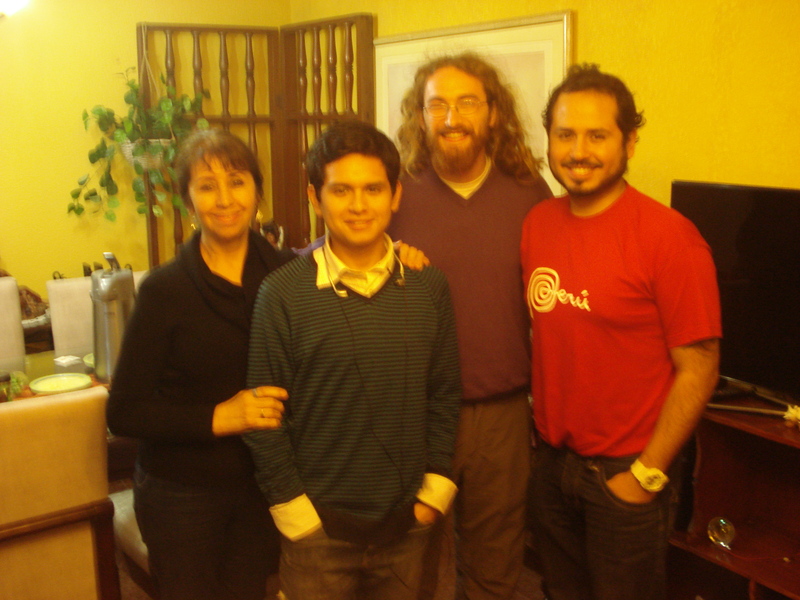 We met with Laura Vargas, the secretary for the Inter-religious Council of Peru, on Thursday. She told us a bit about her story, her work with the Council, and the general status of inter-religious work in Peru. I’ve written a list of highlights because she touched on a lot in a short while. She is the hippest lady. All of her 5’3″ frame was decked out in purple pants, and the sweater, scarf, and jacket to match. Right at the start of our presentation she shocked us all, Jed and Jenny included, when she switched seamlessly into English. I’ll post a picture as soon as I get my hands on one. Her work brings together members of the Jewish, Islamic, Lutheran, Methodist, Anglican, Presbyterian, Catholic, the conservative and progressive Evangelicalchurches, Baha’i, Brahma Kumaris traditions in Peru. The Brahma Kumaris tradition is an offshoot of Hinduism that centers on the woman and the female spirit. 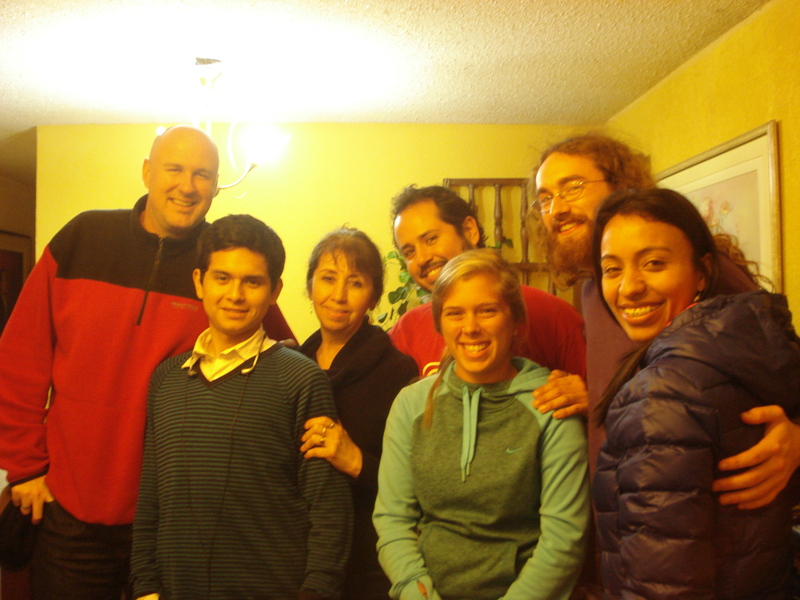 Vargas coordinated an opportunity to meet with a group this year, as well as the Baha’i and Jewish communities of Lima. She’s met Bono, Pope John Paul II, Betty Ford, Jeffrey Sachs, Quincy Jones, Bob Geldalf, and several other name drops through her work in inter-religious life. In fact, she is inviting Jeffrey Sachs to speak at an inter-religious conference in December before the COP-20 conference in Lima. If the stars align, I’ll get to meet him. She told us how inter-religious work has helped deepen her faith, commenting that members of other Abrahamic faiths led her to reconsider the Old Testament as a standalone document and not just a lead up to the New Testament. “The prophets were not thinking about a virgin and like this,” she said. For her, inter-religious work revolves around calls to social justice. The council in Peru has joined in with a Lutheran call to fast for climate change by fasting as a group every third Tuesday of the month. Even those without a tradition of fasting, like Brahma Kumaris, have joined in and after learning about the call, I plan to as well. During the fast, she said the council is meeting with the ambassadors of the countries that will attending the upcoming COP-20 Climate Change Conference led by the U.N., which I will be attending in December. So far, they had visited the embassies of the U.S., the E.U., India, and Australia. Russia had refused to meet with them and Japan was in between ambassadors at the time of the visit. The group is looking to meet with the German, Canadian, and British ambassadors in the coming months. To her, inter-religious work was a recognition to the many incredible ways that God has manifested for human interpretation. It was a unique take on the “more than one way up the mountain” philosophy, which I’ve heard criticized to no end. Still, she had a fantastic outlook on inter-religious life and one that made me hopeful for the future. Stronger, moral leaders like Vargas are exactly what we need. In her opinion, Peru shouldn’t get a reputation for being Catholic, so much as being culturally Catholic. Catholicism is part of the way of life and celebrations of Peru, not a ritual practice of the majority in Peru. An interpretation, I’m sure not everyone would share. Anyway, I thought she was a dynamic person and figured I’d share. So glad I’ll see her again come December when I’m in Lima for the COP-20 conference. Also, the opening quote was one of my favorites from her presentation that gets at some of the different opinions and visions for Peruvian (and worldwide) development. Where the World Bank and International Monetary Fund see a blessing, she and many others see a curse. So the other day, a few other YAVs and started talking about living simply. Here in Peru, it doesn’t exactly feel like we’re living simply. Given the relatively lower standard of living, things are cheaper here. Our party of six can eat a two-course lunch for about S\. 60 (nuevos soles) or a little more than $20. The other day we saw a show exhibiting several traditional Peruvian dances at the Sheraton Hotel*. That’s pricier, but I have no doubt it’s within the program’s budget and it was an opportunity to learn a bit of the culture, albeit in a commercialized environment. During orientation week, we were all fired up to go out and live as simply as we could. To reject consumption-based culture and buy, waste, shower, and flush the toilet as little as we could for the entire year. I’m joking a bit, but the truth is there was no clear-cut definition of living simply. Given the standard of living in Peru, I bet we are living within the same budget as the other YAV sites. So is that living just as simply as these other sites? Is living simply just a monetary phenomenon? Is it just about how you match up against others who attempt to live simply? In my opinion, living simply is not the same as living cheaply. If it was, you’d just shop at discount stores like Walmart, but then you’d be supporting companies that have some notable workers’ rights issues. And if it were about competition with others then things would turn into a process of self-denial. Here in Peru we’d aim to eat the cheapest food possible, and you know what happens then? Food preparation measures would leave us risking our health. Or maybe we’d use public transportation to visit a group on the other side of the city requiring likely three hours for the journey to and from. And nothing would really be better. We’d just have spent six hours in transit and Peru would be unchanged. We’d just be a little more frustrated. Now that being said, I don’t think self-denial is always bad. If you are seeking to challenge yourself and grow then all power to you, however, if you’re denying yourself something because of competition with someone else or a guilty tendency then what good is it really doing? You feel awful when you fail and a sense of righteousness when you succeed. Emily Miller hinted at that during orientation, but it took me until now to articulate exactly what it meant to me. I see Emily’s comments as speaking directly to our privilege. The point of living simply is not to deny the privileges we have as YAVs, but to own it and recognize it. Forcing yourself to live simply out of privilege-driven guilt helps no one. As I see it, living simply isn’t about you, but about your relationship with the rest of the world. If you contemplate your decisions and their consequences on the rest of the world before you make them, then you might live more simply. Living simply seems to be more about considering the social costs, the negative externalities of your choices, and internalizing them. Sometimes that means spending less money. Use less water or take the bus over driving yourself. Sometimes that might mean spending a little more money. Buy the CFL light bulbs or spend $400 on a new bike to last the year (yo what up, Tucson!). Maybe you consider that you can save a gallon of water by not flushing for a week and decide that it is just not worth the smell. And this is where I get hesitant. This could easily root living simply in privilege. And in reality, it kind of already is. 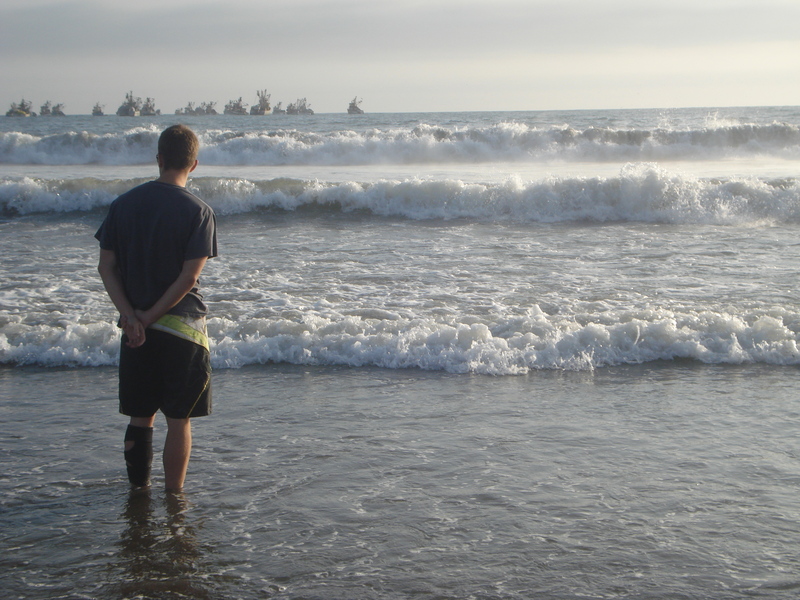 Being a white, male, middle-class, U.S. citizen affords me the privilege to write an entire blog post about the meaning of living simply during a year of service in Peru. You need a certain amount of luxury to spend time processing whether your choices fit within an esoteric life philosophy. There is no reason, however, for those with less privilege to be kept from trying to live more simply. Anyone can choose to live by any philosophy, it just may look differently based on their means. To me, it’s all in being intentional about your choice-making. And that’s exactly what I’m trying to do this year. *I have thoughts on the apparent conflict of watching indigenous dances from the Sheraton Hotel. So I drafted to separate blog posts on a brief economic analysis of environmental regulation and inequality within Peru and then realized that the root cause of both was the same: rent seeking. So with an eye for the economy of words and posts, I’ve attempted to join them together. Let me start by defining rent seeking, a concept within the study of political economy. The term rent seeking was coined by Anne Krueger in 1974 and refers to the decision to spend a portion of your wealth to bring more wealth under your control by altering the social and political environment. In this context, a “rent” comes out of the ability to receive rents from increasing your control of capital and land within an economy. A classic example of rent seeking is the process of lobbying politicians for reduced taxes on the highest income brackets. It’s why I think campaign finance reform is among the most pressing issues facing the United States right now, Super PACs enable rent seeking and prevent true reform. But this a blog about Peru, so I want to discuss how rent seeking has prevented both environmental reform and equitable growth. Conrado, the director of the Joining Hands Network, spoke to us about how mining practices have led to environmental and water degradation in communities throughout Peru. He gave us the example of Las Congas, a region in Peru that is currently resisting a mining company seeking to move in and start mining below their lake, which would contaminate the water source. The mining company sought to make up the difference by creating a reservoir for the people, but the community very clearly opposed this. As Conrado put it, the people did not want their arm cut off to be replaced by a prosthetic. A reservoir would not fix the consequences for the biodiversity of the area and was just an unpleasant change. Jed told us about a similar situation in La Oroya. La Oroya is a small community in Peru that has been contaminated for decades by a local metallurgical factory owned by Doe Run Peru, which is owned by the U.S. holding company Renco Group. The factory releases numerous contaminants into the air and soil. This has resulted in acid rain and lead poisoning in more than 90 percent of the resident children. And then there’s the fact that Peru has been shellacked by climate change and global warming. More than 77 percent of the snowcapped mountains in the Andes can be found in Peru, so much of the water system is based around mountain streams and lakes. As the average temperature of the earth rises, these snowcaps melt and the water cycle has fallen out of order and led to far less water to go around. In economics, these can all be defined as social costs or negative externalities. They are costs to society that these businesses do not have to pay. In economic theory, it is then the responsibility of the government to step in internalize that externality via regulations or taxes. A classic example might be the carbon tax, make people pay to pollute. Another program might provide tax credits for companies that meet environmental regulations. It’s positive reinforcement instead of a punishment. I know, I know, this feels dirty. You’re buying into the capitalist dream of being able to do anything you can pay for. But the fact is there is no limit on how high we make the tax. It must be as high as the social cost to the people of Peru, so considering how awful the consequences are, the taxes should be fairly high. Businesses will need to consider these taxes as costs in their investment decisions. Obviously, I’d prefer that everyone changed their behavior because they realized the immense consequences of their environmental actions. Unfortunately, for some reason many leaders of corporations do not feel that way. The profits are too good to give up and it’s easy to rationalize ignoring these social costs. So internalizing externalities through taxes uses this greed to make a change and start making changes now. Maybe it’s pragmatic, but we need changes now or many consequences of climate change will be beyond our influence. So why doesn’t this happen? Obviously, it’s tricky to set a tax in just the right way or exactly internalize an externality, but it’s not impossible. There are many studies on doing this equitably and accurately. The attempt to build a reservoir in Las Congas was one such attempt. It was an additional cost to the company. The response of the people showed that this attempt fell short of truly internalizing the externality. Or perhaps governments compete to create climates that are attractive to international investment. High taxes and regulations keeps investment out and does not lead to job creation or development. Yet, to my mind the long-term social costs of environmental degradation far outweigh the immediate benefits of international investment. We watched videos wherein members of Las Congas and La Oroya explained why they rejected this form of development. To them it wasn’t worth sacrificing the environment, they did not place much value in development through mining investments. You might claim that they are misguided, but that would be to deny their ability to act as rational decision-makers and weigh costs and benefits. That’s an argument, but it’s demeaning and paternalistic, so I don’t support it. So again, why hasn’t the government listened to the people and implemented these policies? I think rent seeking keeps governments internalizing these externalities. Essentially, corporations are able to alter the political climate to reduce regulations and other attempts to internalize externalities. Additionally, the institutions of international trade facilitate “legal” rent seeking. Take the example of La Oroya. The current Peru-U.S. Free Trade Agreement from 2009 provides Renco Group the grounds to sue Peru for enforcing a contract from 1997. The contract, which the holding company signed, required Renco Group to reduce contamination over the next ten years. They did not do this and asked for continued extensions. When the free trade agreement passed, however, Renco Group changed their strategy. The agreement includes an article stating that a government cannot nationalize or expropriate any international company. The measure follows the logic of laissez-faire economics. Governments should not be able to interfere with or take over profitable businesses. In that sense, it is fair and promotes a more stable investment environment. Unfortunately, Renco group is using the law to claim that Peru’s continued enforcement of the contract signed in 1997 is causing indirect expropriation and demands $800 million in reparations. You might say, well that’s dumb, the contract takes precedence as it came first. Except Chevron won a similar lawsuit against Ecuador in recent years. And the reason why? International Arbitration Courts (IAC). These little devils exist to provide decisions on trade and commercial disputes in the international economy. Instead of placing the judiciary decision in the hands of a government’s judicial system, the IAC is meant to be a neutral authority. In theory, I love that idea. In practice though, these courts almost facilitate rent seeking. Only a company can ask an IAC to decide on a trade dispute. A government has no right to sue a company in these courts. When a company seeks an IAC, they select the members of the deciding committee. And the kicker is, the company cannot be punished if they “lose” the suit. So a corporation must pay the necessary legal fees for an IAC and to make their case. It’s a small price to pay for a company like Renco Group when they demand reparations on the order of $800 million. Renco Group can spend a little money to alter the political environment and increase their own wealth. Sound familiar? That’s rent seeking. So what can we do? Well unfortunately, there is not much to do about the Peruvian-US Free Trade Agreement. You can write a letter to the IAC deciding on the Renco Group vs. Peru case, but other than that there is little to do. Instead, it is better to look toward the new free trade agreement on the table. The Trans-Pacific Free Trade Agreement is currently being negotiated behind doors closed to all member countries and citizenry other than the 600 companies between the involved countries. When completed, politicians from each country will read over the agreement and vote “yes” or “no.” I mean, that’s just blatantly enabling rent seeking. According to Jed, information leaks about this agreement are not promising. It sounds like more of the same if not more enabling of rent seeking. The best thing to do? Write a politician not to support the amendment. If you know someone who works in a company that trades on the international scale, tell them to push for better reforms within the free trade agreement. For example, allowing international companies to operate above the laws within a country is stupid. Or perhaps there needs to be clear definitions of appropriate reasons “expropriate” or increase fees on an international country. These could include environmental laws and human rights abuses. Or maybe arbitration courts should allow countries to step in sue companies for not following their national laws. Renco Group has not followed through on their contract and this happens all the time. Governments need to be able to enforce the laws put in place even on international investors. The point is, rent seeking needs to be stopped. It creates a vicious cycle for inequality and prevents any real environmental reform from taking place. And who suffers? The poorest in the world and specific to my year, many I will meet in Peru.